How Do Short Circuits in Batteries Occur? A battery converts stored chemical energy into electrical energy. In normal operation, electrochemical reactions occur at the two battery electrodes: reduction occurs at the cathode, and oxidation occurs at the anode. During discharge, the positive electrode works as the cathode while the negative electrode works as the anode; during recharge, the electrodes swap roles so the positive electrode is the anode and the negative electrode is the cathode. At one electrode, electrons are released to the electrical circuit, while at the other, electrons are taken up from the circuit. The overall favorable chemical reaction is mediated by the current flow through the circuit, so that whatever device we are powering — for instance, a motor or a light bulb — can recover energy from the battery. 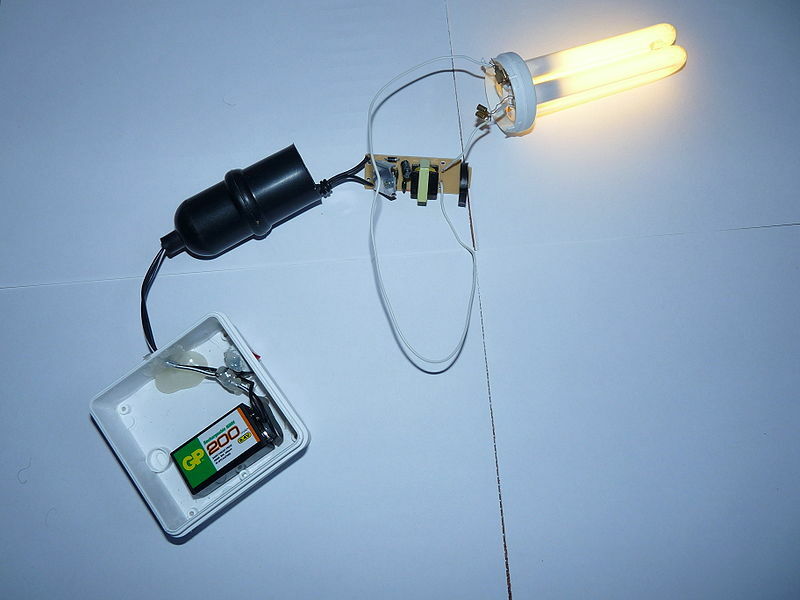 A light bulb powered by a battery. A short circuit occurs whenever electrons can flow between the electrodes without passing through the circuit connected to the device being powered. Because these electrons are not required to do mechanical work, there’s much less appreciable resistance to the current flow. As a result, the chemical reactions will proceed quickly and the battery will begin to self-discharge, losing its chemical energy without any useful work being done. The large current flow under short circuit in turn leads to resistive heating (Joule heating) of the battery, which can harm the device. Mechanical damage to a battery is one cause of short circuits. If a foreign metallic object penetrates the battery pack, or if the battery pack is damaged by being squashed, it can provide an internal conduction path that creates a short circuit. One standard safety test for lithium-ion batteries is the “nail test”, in which a nail is driven into the battery to create a short circuit. To pass the test, the battery must discharge at short circuit without the resistive heating from the internal current flow causing a fire or explosion. 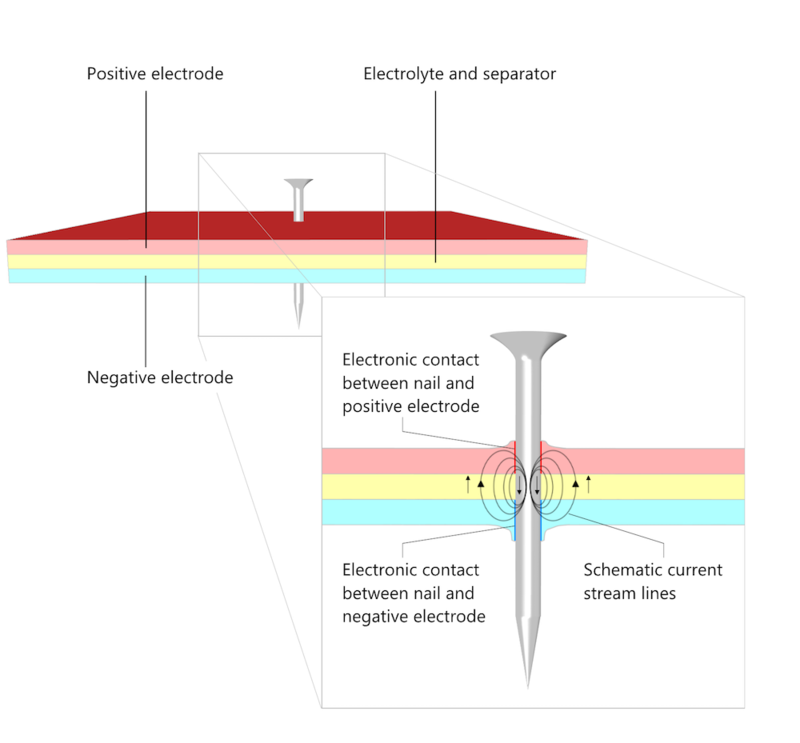 The current flows from the positive to the negative electrode in the nail and from the negative to the positive electrode in the pore electrolyte as well as in the electrolyte (separator). The nail conducts the current as an external circuit with a very small load while the area around the nail behaves as during a discharge (see Figure 5 in Does the Current Flow Backwards Inside a Battery?). A schematic of a nail penetration battery test. The magnified cross section shows the contact area between the nail and the electrodes as well as the direction of the current. The chemistry of batteries can also cause internal short circuits. For lithium-ion batteries, one of the most common mechanisms is the formation of dendritic lithium metal by deposition of the lithium salt. While the lithium atoms should normally intercalate safely into the electrode materials, the formation of free lithium metal can occur. Like most metals, lithium is much more electrically conductive than the oxide materials and electrolyte used in the battery. This creates a problem when lithium metal grows in a battery where it can connect the two electrodes, because it provides an excellent conduction path from one electrode to the other and creates a short circuit. Let’s take a look at how to model a short circuit in a lithium-ion battery using COMSOL Multiphysics. 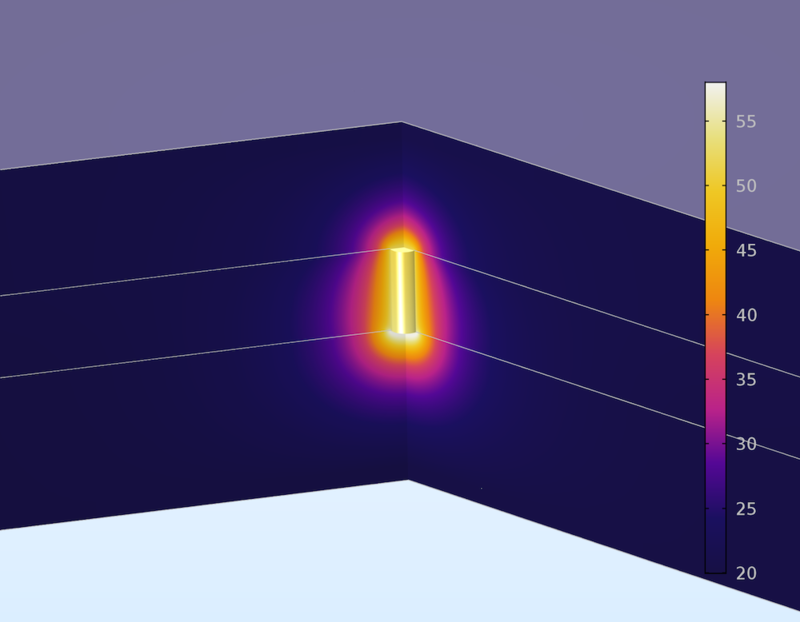 In the Internal Short Circuit of a Lithium-Ion Battery tutorial model, we use COMSOL Multiphysics to predict the current flow and localized heating associated with an internal short circuit. The short circuit is caused by a micron-scale lithium filament connecting the positive and negative electrode materials. Note that the filament only connects the positive and negative electrodes: it does not penetrate the electrodes as the nail above does. In this example, the short circuit current is predicted to be modest compared to the total battery capacity, so the operating cell voltage is not significantly perturbed by the local short circuit. In this example model, we use the familiar Newman model (see the references in the model documentation) for Li-ion battery chemistry. First, we implement the prebuilt Lithium-Ion Battery interface in the Batteries & Fuel Cells Module. This theoretical model enables us to consider the combined effects of charge and mass transfer in the concentrated lithium electrolyte solution, together with current flow in the solid electrode materials and current collectors. We describe the battery reactions using lithium insertion kinetics at the surface of the electrode material particles, as well as a diffusion model for the solid lithium within the electrode particles. Read more about the Newman model and its possible extensions here. We then use the Electrode domain feature, which describes conventional metallic conductors such as current collectors. This feature can also be used to describe a metallic region contributing to a short circuit, like a lithium filament. Going back to our battery model, the electrical conductivity of lithium is about 107 S/m. While a little less than aluminum or copper, this is still several orders of magnitude greater than the typical conductivities of lithium electrode materials (100 S/m) and lithium electrolytes (< 1 S/m). We then compute the battery heat source and couple it to a Heat Transfer in Solids analysis, which solves the heat equation so that we can predict the temperatures. Next, we add a prebuilt Electrochemical Heat Source multiphysics feature to include this coupling directly. The current collectors are assumed to represent good heat sinks with a large thermal capacity, providing a route for dissipation of the heat evolved due to the short circuit. In turn, the electrode kinetics and material properties also vary with the computed temperatures at each point in the battery. The figure below uses the Aurora Borealis color table to show the local electrode state-of-charge after 0.01 seconds of short circuiting. The available lithium is extensively depleted in the negative electrode (almost 0 in the color bar) and accumulated at the positive electrode (almost 1 in the color bar) due to the self-discharge of the battery. This represents a loss of capacity compared to the battery’s expected energy content. The figure also shows the electric potential in the filament (rainbow where red is high and blue is low) and the current density (white arrows) in the pore electrolyte and the electrolyte separator. The electrolyte potential is shown as isopotential surfaces (rainbow), and the current density arrows are perpendicular to the isopotentials everywhere in the electrolyte. The processes and phenomena involved are almost identical to the nail case above, with the exception that the filament does not penetrate the electrodes: it makes electronic contact with the electrode surfaces without making holes in the electrodes. Local state-of-charge at the surface of electrode particles in a lithium-ion battery after 0.01 seconds of self-discharge. Due to the internal short circuit, there is depletion in the negative electrode (bottom) and accumulation in the positive electrode (top). 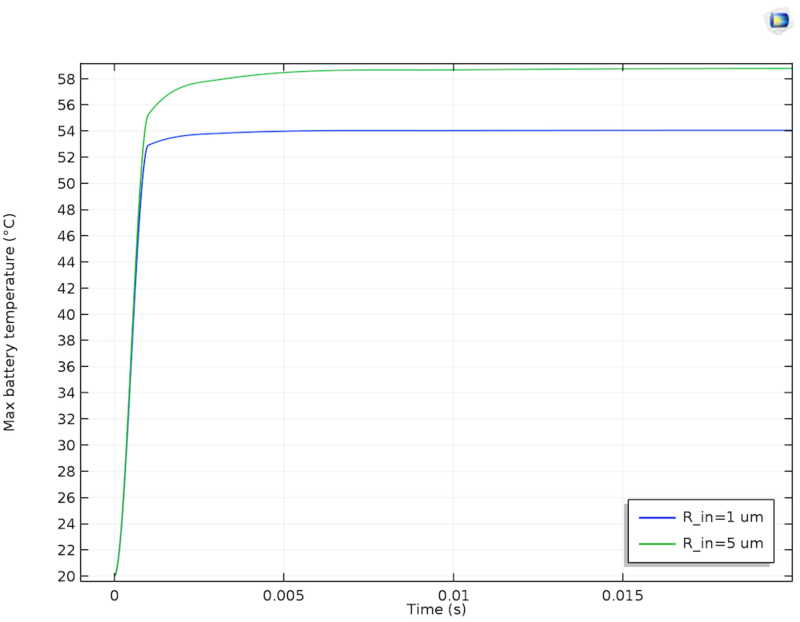 We then plot the temperature through the battery cross section (shown in the figure below). The elevated current density due to the short circuit causes more intense resistive heating, which raises the temperature in the filament to nearly 60°C. Battery solvents are volatile, so if the temperature becomes too high, the battery can pressurize and burst. This can be followed by an explosion, since the solvent is also flammable. However, the boiling point of the EC:DMC battery solvent is over 100°C, so we can expect the battery to be safe with respect to internal pressurization under these conditions. Temperature in the cross section of a lithium-ion battery undergoing an internal short circuit. The temperature is elevated close to the lithium filament where the short circuit current flows. In the plot below, temperature transients for the maximum battery temperature are plotted for two sizes of lithium filament. In both cases, the peak temperature quickly attains an asymptotic value from the dissipation of excess heat through the current collectors. In the presence of a larger lithium inclusion, the maximum temperature is a little higher. This is because the larger filament allows a greater magnitude of short circuit current, hence a raised temperature, considering the dissipation through a similar quantity of surrounding electrode material. The maximum battery temperature over 0.1 seconds of self-discharge for short circuits through 1 µm and 5 µm lithium filaments. Conflagration of lithium-ion batteries due to short circuiting and thermal runaway presents a major safety risk in the transport and use of common energy storage devices. Modeling a short circuit scenario enables us to create detailed battery designs to minimize these risks. 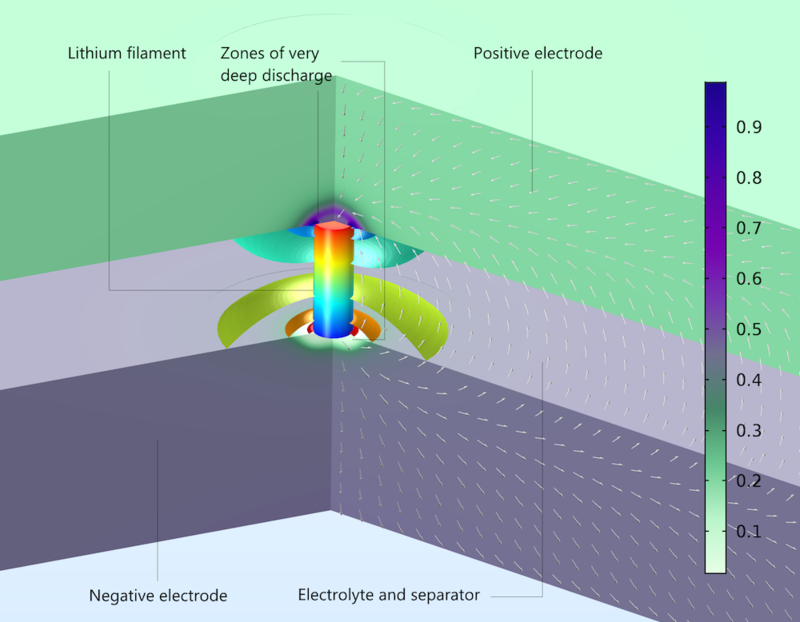 By combining a detailed electrochemical model with heat transfer analysis in COMSOL Multiphysics, we can investigate the short circuit process and gain a better understanding of battery performance to prevent failure and optimize device safety. Read about different applications for modeling batteries and fuel cells on the COMSOL Blog. For further reading on lithium-ion battery modeling, see J. Newman and K. E. Thomas-Alyea, Electrochemical Systems 3rd Edition, Wiley, 2004. Can you please point me to a reference that shows a derivation of lithium insertion kinetics equation? I’m familiar with Butler Volmer kinetics, but I’m not familiar with this form of i_0: F*K_c^alpha_a * K_a^alpha_c * (cs,max – cs)^alpha_a * cs^alpha_c * (cl/cl,ref)^alpha_a. Tim – thanks for your interest in this blog. This expression is part of the standard “Newman model” of the lithium-ion battery. You can see the following paper for a reference: M. Doyle, J. Newman, A.S. Gozdz, C.N. Schmutz, and J.M. 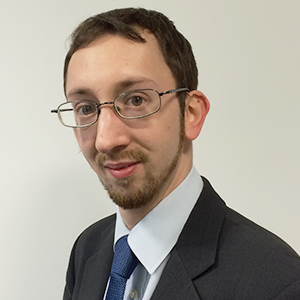 Tarascon, “Comparison of Modeling Predictions with Experimental Data from Plastic Lithium Ion Cells,” J. Electrochem. Soc., vol. 143, no. 6, pp. 1890–1903, 1996. This paper does not provide a complete derivation, but the logic of the mathematical approach used to yield the formula follows from the discussion of electrode kinetics in the textbook “Electrochemical Systems” by J. Newman and K.E. Thomas-Alyea.